Aditi Ashok carded a five-over 77 on the final day of the Indian Open. 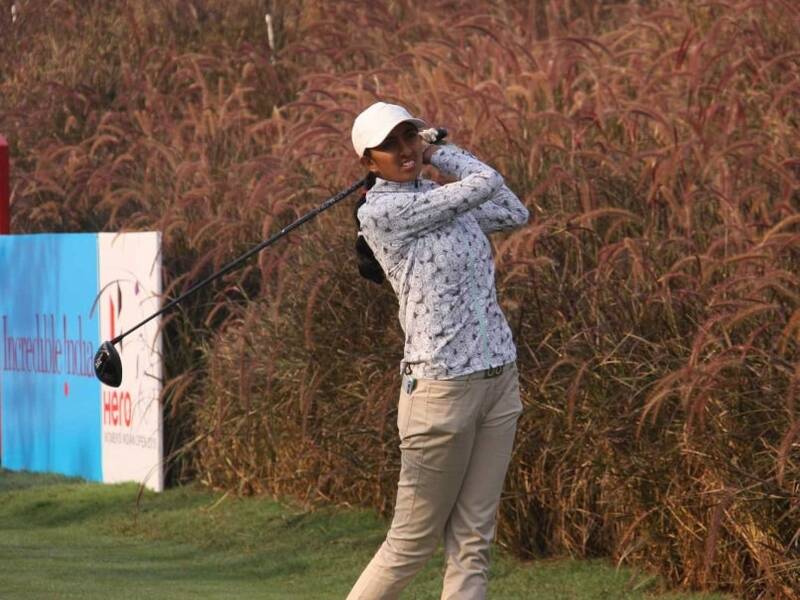 On a rather warm day, Aditi wilted with a round of 77 after 75 and 73 on the first two days to total nine-over 225 to finish one place better than what she did a year ago at the Hero Women's Indian Open. On the professional side, Vani Kapoor finished tied-20th, while Saaniya Sharma finished at 21-over in Tied-60th place and Smriti Mehra finished last at 62nd at 23-over 239. On a somewhat warm but perfect day for golf with no wind, the 19-year-old Pedersen who turned professional at the start of this year after a stellar amateur career, backed off twice before her final bogey putt from less than three feet on the final hole. Her first putt from 10-feet for par went three feet past the cup. Pedersen received the glittering Hero Women's Indian Open trophy from Pawan Munjal, Chairman, Managing Director and CEO of Hero MotoCorp and she also bagged a USD 60,000 cheque. Pedersen carded 73 for the final round and her total of even par 216 meant not a single player in the field was in red colours after three rounds. There was a three-way tie for second with American Cheyenne Woods (71), Denmark's Malene Jorgensen (72) and Becky Morgan (73) all finishing at one-over 217. England's Liz Young (72) was sole fifth at two-over 218, while Italian Giulia Sergas, one of the few to birdie the 18th - she however had three bogeys in a row before that - carded 73 and ended sixth at four-over 220. Vani seemed to have finally come to terms with home club as she was one-under through 16 holes, before disaster struck. She bogeyed the tough 18 and worse was the triple bogey on the closing 18th and that loss of four shots in two holes saw her drop to 75 for the day and 11-over for the week and finish Tied-20th. Aditi, normally quite steady, made some uncharacteristic errors and paid the price as she double bogeyed the par-5 fourth immediately after dropping a shot on par-3 third. Another dropped shot on sixth meant she was four-over through six holes. There was some recovery on par-5 eighth, a hole she birdied for the third straight day, but that gain was frittered away by her second double bogey on par-4 10th. She did well to make some ground with birdies on 12th and 15th, but the bogey-bogey finish meant 77, the worst card for the week. Vani, who had high hopes from the event, began the week badly with a card of six-over 78. She made amends on the second day with a fine 73 and looked like making a charge for a possible Top-10, before striking disaster at the end. Still, she did well to move up from Tied-27th to 20th as the best Indian professional. This season Pedersen finished second at Open de France and Deloitte Ladies Open in Holland besides two other Top-10 finishes at the Turkish Ladies and Scottish Open and is now a firm favourite to emerge as the Rookie of the Year. An overjoyed Pedersen said, "The win really feels good. I have come close more than a few times so it feels great to finally do it. It has yet to sink in and I am so happy and my caddie, Mike Curry, kept me calm at important stages." Pedersen, who led from the first day, fell behind American Cheyenne Woods in the morning. Pedersen bogeyed the opening hole, while Cheyenne playing two groups ahead birdied three times in first six holes to take sole lead and raise visions of a second LET title. Cheyenne went up to four-under for the day with a birdie on 11th and her first mistake came on the 14th where she dropped a bogey. She still had a chance when she came to the 18th but the catastrophic double bogey on the last cost her the chance to win the coveted title. Meanwhile, Pedersen kept herself in contention with birdies on eighth and 11th, though the bogey on 14th was a setback. The birdie on 15th was soothing and the bogey on the tough but spectacular 17th made her tense once again and brought back thoughts of a playoff before the bogey putt on 18th clinched the issue. With Becky Morgan, who also held lead at one stage, missing a 12-footer for par on the 18th, Pedersen realised even a bogey would win the title outright. She missed her first putt from 10 feet and then had a very short putt for a win. But her hands were shaking and she was nervous before holing the short three-footer. Pedersen, who lost the Lacoste Open de France in a play-off last month, said, "I was already thinking about a play-off after the bogey on 17th. I was mentally preparing myself for it." Cheyenne was disappointed at not winning despite the great charge on the final day. But she wistfully added, "You can't win tournaments if you double bogey the final hole. 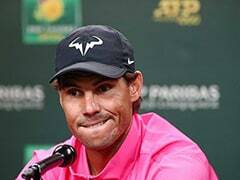 Anyway, I was happy with the way I played till that time." 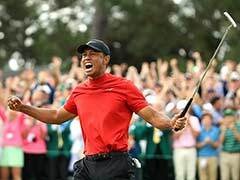 The 25-year-old Woods, whose only win on LET came at the RACV Ladies Australian Masters in 2014, added, "It was good to come back and contend after the disappointment of the first day. The last two days were good and I thoroughly enjoyed my visit to India, though the win would have made it sweeter."